The Jacksonville Aviation Authority (JAA) is a vital component of the transportation network that serves the commercial, business and recreational aviation needs of Northeast Florida and Southeast Georgia. The JAA also has a substantial annual economic impact of over $2.9 billion to the community through the growth and development of aviation and aerospace industries. Yet, if you were to ask what our top strategic priority is, what really drives us; the answer would be safety and security. 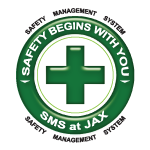 The JAA spends a great deal of time and energy on safety and security issues and measures. We are absolutely focused on making sure our airport system, comprised of Jacksonville International Airport (JAX), Cecil Airport, Jacksonville Executive at Craig Airport (JAXEX) and Herlong Recreational Airport, is among the safest and most secure aviation facilities in the country. Whether it is passengers traveling through JAX, recreational pilots taking off and landing at Herlong Recreational Airport, Coast Guard flight training at Cecil Airport or student pilots operating at JAXEX, we will not compromise on safety and security. Another important focus of the JAA is continually improving the travel experience for the millions of visitors to the Jacksonville International Airport. Through aggressive benchmarking and continual improvement, JAX has been ranked as one of the best airports in the world for overall customer experience.